in all of our hearts. and those seeking to restore peace. When will we stop blowing each other up? who challenge our belief or authority? with our judgement and moralizing? and deliberately biased to avoid understanding and compassion? When will we stop procrastinating from taking action for peace? When will we better walk your way of cross- filled sacrifice? as you sacrificed yours for us? for those who were killed in the Easter Sunday Massacres. and St Anthony’s Shrine in Kochchikade, Colombo. and in a housing area. and for health care personnel assisting them. and for their friends and community members. and to prevent further tragedy. for our sisters and brothers deeply traumatized. as they await news of loved ones. We pray for our extended family. we remember the churches in Sri Lanka. if one part suffers, every part suffers with it. the attacks on people gathered at worship. proclaim the risen of the crucified Lord. We pray for Easter peace and religious harmony. May this harmony be a fabric weaving together cultural traditions. Let the emptiness turn suffering into compassion to the world. particularly St Anthony’s Church in Kochikade. and provide care for the affected communities. Methodist Church and Church of South India in Jaffna. let long hatred and acts of violence go no further. May they take a leadership with the government toward peace. we remember the diaspora community in Australia. for working towards peace and harmony. May the past no longer hurt them. through our prayers – peace be with you. God of peace, we have seen hatred unleashed and precious lives lost. We grieve with the families and communities mourning the death of loved ones. Our hearts go out to those who have been injured physically and mentally and those who now feel a heightened sense of insecurity because of what has happened. God of comfort bring light in the darkness. Sustain religious and community leaders as they support families and seek to bring hope and healing within their communities. Be with the people of the NZ emergency services and others traumatised by these recent events. Thank you for all the expressions of solidarity we have seen following this act of terrorism. What was intended to spread hated has instead brought people together. Thank you that many have come together to join voices, stand together, convey their condolences and affirm their commitment to building an inclusive society. Thank you for those offering wise and prophetic leadership, who have communicated by their words and actions a vision of the kind of societies we want based on respect, kindness, compassion and good will towards one another. May we continue to engage in a process of self-examination as we consider what creates an environment where seeds of hatred grow. And where innocents suffer for the agenda of evil. Calm our fears and worries. Give us strength of peace. And the power of hope. We think of victims and their loved-ones. Be with all who need solace and comfort in their time of distress. Work for healing with all who need it. Smack down any self-righteousness within us. Teach us how to unclench our souls as prejudice and judgement arise within our mindset. Reminding us of the teaching of Jesus about such people. and reconciliation become the orders of the day. If not in unity, at least with respect and tolerance. So that the horrors of humanity might end. This prayer was originally written for the 189 people who lost their lives on a Lion Air plane that crashed in Indonesia on Monday 29 October. The same model of plane crashed in Ethiopia this week killing all on board and this prayer has been adapted for this tragedy. we come before you in sorrow and prayers. Today we pray for the victims in the Ethiopian Airlines crash. We behold all of them in our prayers. Let our prayers rise to you: hear our prayer. You are the refuge and strength to those who suffer. We come to seek you healing upon all your children. We search for wholeness in the midst of brokenness. We cry for healing among their families and communities. We remember the death of your son Jesus Christ. We behold all their friends impacted by the unimaginable loss. teach us – let it be empty. We behold others with your care and forgiveness. We come before you as fellow citizens of hope. We behold them before you for healing. Protect them with your heavenly hosts. but lives and rules this world with you. Amen. Uniting Church President Dr Deidre Palmer has asked members to keep residents in disaster-affected areas in their prayers in the days and weeks ahead. After heavy monsoonal rain, Townsville and surrounding areas are experiencing major flooding. Hundreds of residents have been evacuated and thousands of homes have been inundated. The Presbytery of North Queensland cancelled all church services over the weekend to ensure that no one crossed floodwaters. Some churches have opened their doors for people to gather and find support. In Tasmania, seven homes have been destroyed in widespread bushfires, which have been burning since before Christmas. Firefighters are hoping rainfall in the coming days could help control the blazes which continue to burn out of control across the state. For we ask this in Jesus’ name. Amen. Loving God, in the midst of what nature brings us, we thank you for the deep wells of community life; we pray that people will be kept safe; that property damage be minimal, that we might support and help one another through these challenging days. Be with the people of Townsville and district we pray. Permission is given for free use of this hymn; please share it! Biblical texts: Matthew 17: 1-2 Jesus said to his disciples, “ Occasions for stumbling are bound to come, but woe to anyone by whom they come! It would be better for you if a millstone were hung around your neck and you were thrown into the sea than for you to cause one of these little ones to stumble. This prayer was written by Rev Cathie Lambert (Uniting Church in Australia) for the 2011 Margaret River fires. Cathie’s prayer has been slightly adapted in the context of the horrendous tragedy unfolding in southern California with thousands of homes burnt to the ground and deaths of many people. We lament the devastation of the fires in California…..
We pray for those affected – for courage, strength, patience, resilience and hope, to face the days and weeks and months ahead, even when the story no longer has media attention. We give thanks for firefighters and emergency service personnel, police officers and ambulance officers, who work together to fight the wildfire and support residents. We pray for those who have lost homes when this fire took all in its path – homes of the rich and famous, and ordinary people who have invested their savings into their homes. In amongst the grief, anger, loss and confusion, and unspeakable sorrow, we give thanks that so many people of goodwill are offering practical support in this time of great need. We give thanks that the God we know in Jesus Christ journeys with us and remains with us all the days of our life, even through the dark valleys and times of sorrow and lament. Amen. The following hymn was originally written on the day of the Columbine High School shootings and sadly has been sung after many more school shootings. News of the children lost to this world’s violence. You came to give us hope for each tomorrow. You are our life, Lord God’s own love revealing. In this world’s violence, help us make a new choice. Text: Copyright © 1999 by Carolyn Winfrey Gillette. All rights reserved. On Friday 28th September 2018, an earthquake with a magnitude of 7.5 struck Sulawesi island in Indonesia. It led to a tsunami with waves up to 3 metres high hitting the city of Palu. More than 1200 people are confirmed dead, and many remain missing or injured and rescuers fear this number could rise significantly. About 50,000 people are known to be displaced from their homes. People who have survived the earthquake and tsunami are left without food, clean water, shelter and health care. Many buildings are badly damaged or destroyed. Thousands of homes have collapsed along with hospitals, hotels and shops, and the airport is not functioning. Several large coastal towns remain cut off by damaged roads and communication lines are down. The areas of Donggala, Sigi and Parigi Moutong – with combined populations of 1.2 million – have yet to be fully assessed. A number of appeals have been launched including TEAR and UnitingWorld. Lord, we pray for the people of Indonesia who have already suffered ten earthquakes this year. We lift up to you the families hit by this latest devastating earthquake and tsunami. Comfort those who have lost loved ones and homes, and help to heal and restore injured people. We pray for the people of Palu, the closest town to the earthquake and ask you to comfort families who are facing unimaginable trauma. Draw close to communities as they count the cost of the destruction to lives and homes. mengambil kehidupan dan mereka yang kami cintai. Kami datang kepada Mu dengan air mata bercucuran. karena bencana tsunami dan gempa. Kami datang kepada mu dengan bersujud. because of the tsunami and earthquake disaster. Tuhan maha kasih, kepada Mu kami berdoa. Merciful God, we pray to you. to those who have lost loved one. to those who have lost their land and houses. We offer all these prayers in the name of Jesus. Amen. As Hurricane Florence bears down on the U.S. East coast and over 1 million people start evacuating, our prayers go out to all those who are in the path of the hurricane. We pray too for those who will respond to the destruction and the flooding and also for those who open their homes to victims of this disaster. (This prayer was written for Hurricane Florence, but at the same time there’s also a Super Typhoon wreaking havoc in the Philippines). Our shelter in the midst of all disasters. Your love embraces and comforts us. be with all who are vulnerable. as the winds blow, the oceans rage and the land slides. Place your arms around them as the trees fall and rivers rise. Keep them safe from wind and rain and fly debris. Guide those that put their lives at risk to help. With all who reach out to neighbours with your love and compassion. Protect and guide them in the midst of danger and of strife. May all find shelter in the embrace of your love. (Source: Prayers for Times of National and International Crisis and Tragedy, PCUSA website). The President of the Uniting Church in Australia Stuart McMillan and UnitingWorld National Director Dr Sureka Goringe have written to churches in Indonesia to express sadness and solidarity after the tragic church bombings during Sunday worship in Surabaya, Java. 11 people were killed in the explosions and more than 43 were wounded in what has been called the worst terrorist attack in Indonesia in more than a decade. A congregation of our partner church in Java was one of those targeted, wounding an Elder and several young members. Almighty God, we come to you with our hearts full of thoughts. and so with confidence we offer our prayers to you. and we are confronted by the attacks on Christian worshipers. and our trust that in God’s peace their souls find rest. and we commend to your love all the injured. who have been involved in the rescue operation. as they minister to the suffering communities. Sustain them through this time of stress. like refugees in their own locality. will encourage and lift their spirits. – especially in East Java and West Java. and bring them healing from all evil. – still trying to make sense of the past. Comfort them across the physical and emotional distance. the gift of family, friends, a home, our possessions. Most of all we praise God for the gift of life itself. come into our hearts in the moment of now! into blessings to the living. Life is always stronger than death. I open the door of my heart for you. I hold the arms of my spirit open for you. Welcome. Spirit, pray in me. I only hold the space. your sighs too deep for my hearing. I do not know how to pray. Spirit, as you pray in me. Another shooting – Lord, have mercy! A gunman opened fire Sunday morning Nov 5th 2017 at the First Baptist Church of Sutherland Springs, near San Antonio, Texas. More than two dozen people are dead and many are injured. (Source © 2017 by Carolyn Winfrey Gillette. All rights reserved. for theirs is the realm of heaven. Blessed are you when people dismiss and insult you. Tune: Virginia Harmony, 1831 Arr. Edwin O. Excell, 1900. Alternative Tune: ST. ANNE CM Attr. William Croft, 1708 (“Our God, Our Help in Ages Past”). Kathy Howard has been brainstorming specific ways to pray for the flooding in Houston, south Texas, and beyond. These specific needs/items can be lifted to God in the wake of a wide range of natural events and disasters. (this list is a work in progress). Grant safety to the men, women, and little children navigating the dangerous flood waters. Strengthen local clergy and congregants as they provide shelter and aid for their communities. Specifically, give wisdom and present resources to pastors and lay leaders working to provide for the physical needs of those who have lost homes, precious belongings, and are possibly separated from their loved ones. Give them courage to minister to the spiritual needs as well. In Psalm 46, we read these words of encouragement and comfort: God is our refuge and strength, a very present help in trouble. Creator and preserver of our world, We ask you to hear our humble prayers for all those afflicted by devastating floodwaters and those still threatened by flood. Protect both life and property. In your mercy, bring relief to all affected areas. We pray for the sick and injured, for the homeless, for the bereaved and for those still searching for loved ones in this great tragedy. Have compassion, merciful Lord, in the midst of their profound suffering, comforting and relieving them according to their needs. Heal those broken in body and spirit. Give courage and hope in the midst of despair. Through the generosity of governments, groups and individuals across the world, provide a future for those whose present circumstances are marked by loss and desperation. Protect all those who are most vulnerable in the areas of devastation. And by your gracious hand, rebuild communities where men, women and children are nurtured with care and love. In Jesus’ name we pray. Amen. Everlasting God, you know our necessities before we ask. We pray for all emergency services personnel. We thank you for the unstinting dedication and efforts of the emergency services and the nation’s defence forces. Give them courage in adversity, safety in service and protection from harm. We ask that you would also watch over their loved ones. In the service of others, may assistance be rendered to those in greatest need with speed and efficiency, justice and compassion. We pray also for medical personnel caring for the injured. Provide ample resources and energy to doctors and nurses coping with prolonged work hours and deeply distressing circumstances. In the midst of this tragedy, we thank you for the compassion and generosity of governments, businesses and individuals. We ask for an ongoing spirit of care and generosity as local, state and national bodies help to reconstruct communities and bring hope to victims and to future generations. Give wisdom to to all who exercise significant community and national leadership at this time. Enable them to chart a course through the complex challenges during all the phases of recovery in the weeks and months and years to come. In Jesus’ name we pray. AMEN. At the same time, there is horrendous flooding in India, Bangladesh, Nepal, where more than 1,200 people have died in the worst annual monsoon floods to hit South Asia in more than a decade. More than 41 million people have had their lives disrupted. Rescue and relief efforts are ongoing, with international aid agencies reporting thousands of villages cut off. People in remote and isolated areas have been without food and clean water for extended periods. There are also floods in Nigeria, with more than 100,000 people having to flee their homes because of major flooding in the central state of Benue. What prayers might be offered for vulnerable people devastated by floods, many who have little likelihood of recovering homes and possessions? I am exhausted by the hate and the fear and the violence and the death. So the first thing I wrote when I returned home from Charlottesville was a prayer, because I needed to remember God after what I saw today. I have struggled to pray today. The image of God to which I so often default — an image that has been instilled and reinforced by white supremacy and patriarchy — is a white, male god. Over the years, incorporating inclusive language into my prayer has helped me reimagine God in color and warmth and light. But today’s events (and the events of the last year), were a sombre reminder that the racist, patriarchal god is still deeply embedded in my psyche, and all the more so in that of our nation. This is a prayer to the God whom we have forgotten, and whom we had best remember. and on each other. Amen. We pray for all those affected by the tragic fire in London. We pray for the victims, the bereaved, those still searching for loved ones and for the emergency services. Merciful God, hear our cry for your mercy in the wake of this disaster. Reveal your presence in the midst of the suffering. support those who are responding in compassion – bringing help and healing. Come quickly and aid those in need that they may know peace. that peace which passes all understanding. Amen. we have no words left. and not enough glimpse of the holy to hold us fast. bind us together as one family in your kin-dom of mercy and peace. Cold and dark clamp down on us. The man with the megaphone doesn’t care. The World Council of Churches (WCC) condemns the vicious attacks on innocent worshippers celebrating Palm Sunday at St George (Mar Girgis) Coptic church in Tanta and in front of St Mark´s church in Alexandria, Egypt. WCC general secretary Rev. Dr Olav Fykse Tveit expresses profound sorrow and offered condolences and prayers for the families of the victims, for the wounded and for all the people of Egypt. He encourages Egyptians to stand firm and united through the many trials and tribulations that continue to threaten. “In the face of this brutality, the human family, all people of faith and of good will, must stand together to recommit to respecting and caring for one another, to protecting one another, and to preventing such violence.” See the full statement here. As we grieve this tragic loss of life and attack on the Church body, we hold our Coptic brothers and sisters in prayer. – His passion is our path of salvation. in the face of escalating violence around the world. for the people of Paris who are mourning the death of loved ones. seeking your gift of transformation and your promise of hope. Anne Lamott: Life has always been this scary here, and we have always been as vulnerable as kittens. Plagues and Visigoths, snakes and schizophrenia; Cain is still killing Abel and nature means that everyone dies. I hate this. It’s too horrible for words. When my son was seven and found out that he and I would not die at the exact same second, he said, crying, “If I had known this, I wouldn’t have agreed to be born.” Don’t you feel like that sometime? Let speeches fall silent – a hymn after the Orlando massacre. This hymn may be freely used through July 31, 2016. Music – click here for two options. and holders of power give way to the weak. to walk on a new, more compassionate path. forgive our excuses for courage we lacked. your image is found in our enemy’s face. Came such violent devastation— one man’s efforts to destroy. May we work for legislation that will curb guns’ awful toll. Give us love to welcome difference— love no hatred can destroy. Natalie Sims has created a page on Singing from the Lectionary, with songs to lament the deaths in Orlando, and to gather songs that celebrate and seek the inclusion of LGBTQI people in the church. Thanks, Nat! This one by John Bell, There is a Place, written after Dunblane tragedy but seems appropriate for Orlando. Suffer our anger, share our speechless grief. who yearn for a place of safety and belonging. 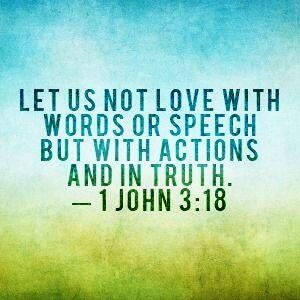 who are wounded by our words, our actions and inaction. with those who suffer persecution and bigotry. and we repent of our closed and stony hearts. I say to God, my rock, “Why have you forgotten me? the beauty we have cast away from us. on earth as in heaven. Amen. A Wellsprings liturgy – Words from Dark Spaces (can be adapted as a service in response to tragedies and natural disasters). Prayers for those killed and injured in the attacked in Lahore, Pakistan. Article, Where we Mourn by Dilshad Ali. A sermon, The World Is Crowded With Gethsemanes. We come this morning, hoping for healing and rest. Healing can be hard when the world seems harsh and cruel. We come seeking peace after the blast, even among the shrapnel of images imbedded in our collective minds. Peace can be hard when the world roars in chaos and pain. We come to a God who knows what it is to have nails in flesh and bone. We come to a God who knows our pain. Anoint this hour with your peace as we worship in your name. Prayer for Brussels: God of Peace, Where are You? Here’s a prayerful reflection in the wake of yesterday’s terrorist attacks on the city of Brussels. God of Peace, Where Are You? We ask this question as we watch what humans do. We harm, destroy, and fight. and I just flick through the images like nothing on my phone. and anymore I barely stop to think. as bombs exploded in the Zaventem airport & the Maelbeek station. this is the scene of which I have read. How can we claim to call ourselves civilized? I fear it is us that have forgotten to care. too much loss and too many casualties. and replaced them with ignorance and fears. hoping to be inspired to another way. that my global compassion has faded. replaced with a cynical black hole? I feel like after a crisis we should feel a sense of disjoint. The World should be at a standstill, a moment of pain. Where only silence may reign. while the victims offer their final cries. only the heavenly message of Hope and Love. The truth of the peace that comes with the Dove. for humanity is just too weak. We are broken and lost. But into these moments God speaks Easter and Pentecost. on me your world can depend. seen your armies and your corps. seen the world offer weaponry and brawn. but I have also been there at births and at weddings. Stood with Friedensengel and the Hiroshima Peace Memorial. Whispered in emperor’s ears to not be so territorial. but do not think I am silent or still. I was there in that airport wrapping the dying in grace. You, humanity, may look away but for me that is not the case. under the cover of gunfire, I have nursed. but live in the pain of the brokenness. for all you protect is your mind. do not let your sense of fear make your eyes avert. Dear Lord, You do not stand from us apart. as servants of Jesus Christ our Lord. Amen. Morning, Noon and Night, from New Parish Prayers, Ed. Frank Colquhoun, Hodder and Stoughton, London, Sydney, Auckland. 1999.
and hear our prayer for those whose lives and possessions have been destroyed by the raging waters. In your mercy, restore your creation and heal the land. Adapted from Occasional Prayer No. 12, A Prayer Book for Australia. O God, we are stunned. We cannot take it in. It seems unreal and yet too real. and give us the healing of wounds that now run deep. Adapted from Funeral Services of the Christian Churches in England, Canterbury Press, Norwich, 2002.
to know your love and peace. at the destruction of lives, homes and livelihoods. to bring relief and fresh hope. Amen. I pray to you, Lord! Please listen. Pray attention to my prayer and quickly give an answer. for the suffering of our sisters and brothers. and build new hope from the ruins. We make our prayer through Jesus Christ our Lord. All: Amen. Satisfy us in the morning with your steadfast love, so that we may rejoice and be glad all our days. Make us glad as many days as you have afflicted us, and as many years as we have seen evil. Let your work be manifest to your servants, and your glorious power to their children. Let the favour of the Lord our God be upon us, and prosper for us the work of our hands. O prosper the work of our hands! EITHER of the following songs, A Trusting Psalm OR When Human Voices Cannot Sing could be placed here. The word of the Lord is faithfulness and love. His love can never be measured. So let us place our trust in him. The word of the Lord means a patient, gentle God. His love can never grow weary. If we can place our trust in him. The word of the Lord is fire burning strong. ©1989, Kevin Bates. Copyright agent: Willow Connection Pty Ltd. Used with permission. Word of Life International License No. 1550.
who knows our inner aching. the pathway of our going. as many as came out of the ark. and the waters shall never again become a flood to destroy all flesh. “Peace! Be still!” Then the wind ceased, and there was a dead calm. He said to them, “Why are you afraid? Have you still no faith? N.B. A significant time of silence is suggested at this time. EITHER of the following songs, Comfort, Comfort All My People OR Eye Has Not Seen could be placed here. with the comfort of my Word. All your sins are taken away. Words and music © R. Mann. All rights reserved. Used by permission. teach us the wisdom of God. and bear us up within your peaceful word. so we return in love what love has made. and lowly of the world. Jesus, Living Song of God. Text: 1 Corinthians 2:9-10, Marty Haugen, b. 1950. © 1982, GIA Publications, Inc. All rights reserved. Used by permission. Will hardship, or distress, or persecution, or famine, or nakedness, or peril, or sword? nor things to come, nor powers, nor height, nor depth, nor anything else in all creation, will be able to separate us from the love of God in Christ Jesus our Lord. Lift the burden of despair and grief from those who suffer. Enkindle in us the hope of your Spirit. and the goodness to reach out to others in their distress. Do not abandon your people in their time of need. N.B. Hymnals: When Human Voices Cannot Sing and Comfort Comfort All My People (Together In Song). A Trusting Psalm and Eye Has Not Seen (Gather Australia and As One Voice I). Prayer for Peace (As One Voice I). Silence: Ensure that pronounced times of silence are made after psalms, readings and reflection. Liturgy prepared by combined Anglican, Lutheran, Uniting and Roman Catholic Churches of Toowoomba Qld. Adapted by Diocesan Liturgical Commission, Catholic Diocese of Toowoomba, Qld.